Royalty-free vector illustration of a red-haired birthday boy in a purple shirt wearing a polka dotted hat blowing out the cake candles. 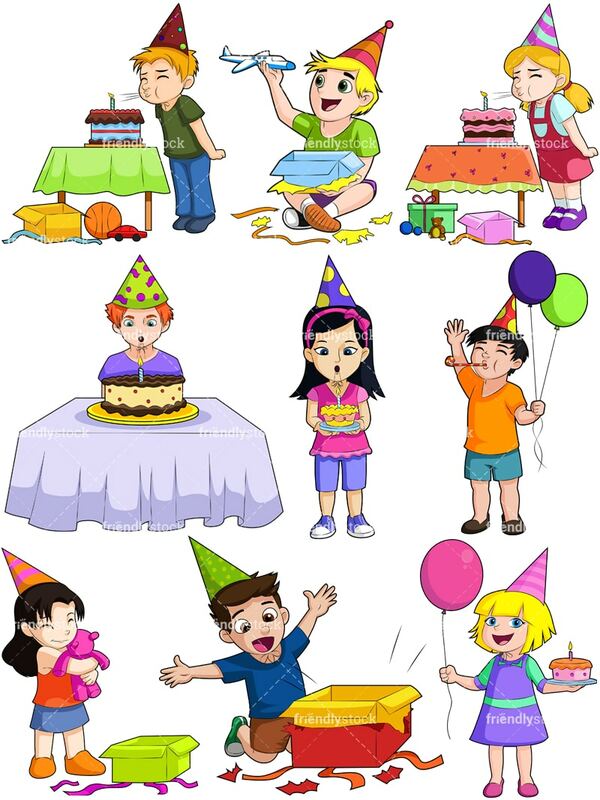 Royalty-free vector illustration of a little boy at his birthday party blowing out candles on the cake. His birthday presents, a basketball and race car, are on the ground nearby. 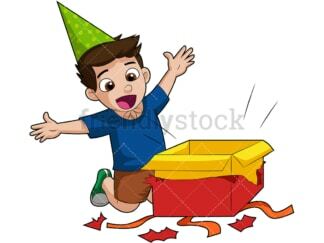 Royalty-free vector illustration of an excited boy sitting on the ground opening a birthday present. His arms are high in the air and wrapping paper strewn about. 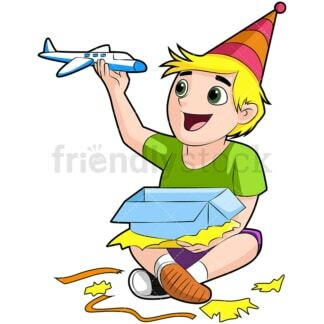 Royalty-free vector illustration of an excited boy sitting on the ground and wearing a big smile after having just unwrapped his birthday gift, a toy airplane. 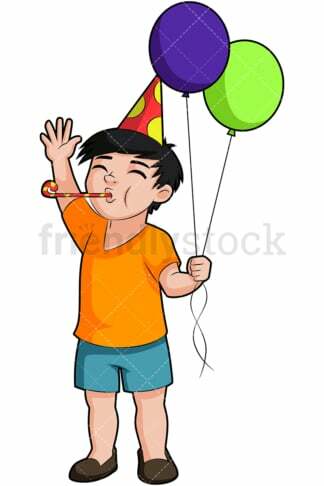 Royalty-free vector illustration of an excited boy wearing a birthday hat, blowing a party horn and holding a couple of balloons at his birthday party. Royalty-free vector illustration of a happy birthday girl wearing a purple dress and pink shoes and hat, holding a cake and balloons. Royalty-free vector illustration of a little black-haired girl holding a birthday cake and wearing a purple paper hat. She’s about to blow out the candles! Royalty-free vector illustration of a little girl in a red dress and paper hat at her birthday party, blowing out the candles on her cake. 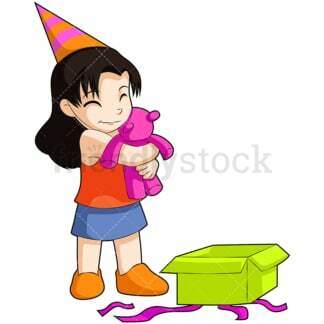 Royalty-free vector illustration of a little girl in a pink birthday hat, standing up and hugging a new teddy bear, smiling. The gift wrapping is lying on the floor beside her.